James St Leger and Kristian McPhee team up to deliver a training holiday full of CrossFit and Weightlifting! James has been coaching CrossFit for 5 years now and is a full time athlete with over 5 years experience in CrossFit and many more in other sports. His top achievement to date was competing as an individual athlete at the CrossFit European Regionals in 2018. Read more about James here. Kristian is a British Champion in Olympic Weightlifting, a highly experienced coach and athlete spanning from Parkour, Skiing and Weightlifting, as well as a British Weightlifting tutor. Read more about Kristian here. Relax and let Beaches and Barbells take you from London to your hotel in Limassol, with return flights, 4* beachfront hotel, airport transfers, facility access and elite coaching – you are in for an unforgettable training holiday with us! - Multiple Sessions working on specific skills such as gymnastics, weightlifting, swimming and WODs! Kristian is a British Weightlifting Tutor, delivering coaching courses year-round for them, and for the first time in 2016, for Beaches and Barbells. 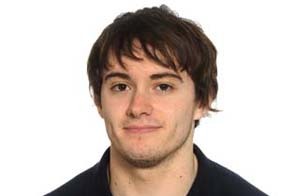 Kristian is also head coach for the successful Brunel Student Club. Copyright © 2019 Which Training Camp. All Rights Reserved.